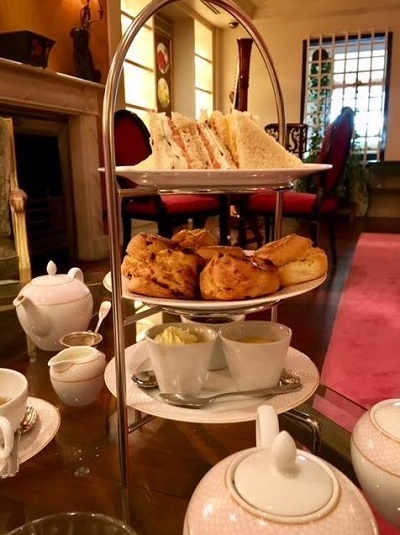 I am a fan of Afternoon Tea – I cannot imagine anything nicer than hanging out with friends for hours on end having little sandwiches and scones brought to us for our enjoyment as we catch up about the weeks and months we’ve been apart. Lately though life has gotten on top of me and stopped me from enjoying the pleasure so I took advantage of Afternoon Tea Week to rekindle my relationship with Afternoon Tea and if you’d like to cheaper than I did, go to https://www.buyagift.co.uk/food-and-drink/afternoon-tea and enter the code TEAWEEK for 20% off any of their normal packages. Legend has it that the first lady to enjoy ‘afternoon tea’ was Anna Maria, the 7th Duchess of Bedford who lived at Woburn Abbey in Bedfordshire and was lady-in-waiting to Queen Victoria. The Duchess of Bedford is said to have experienced a ‘sinking feeling’ in the middle of the afternoon one day and asked her footman to deliver all the tea making equipment with some bread and butter to her private room. She found this new meal so satisfying and enjoyable that she soon started inviting her friends to join her for ‘afternoon tea’. 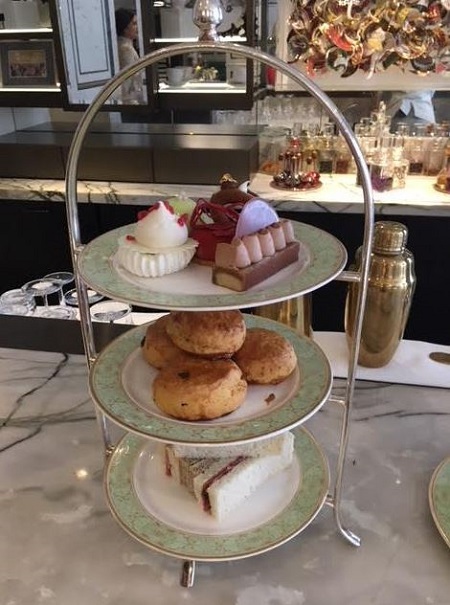 First I spent FIVE HOURS at the Afternoon Tea in the Rose Lounge at the Sofitel St James which I found on the Afternoon Tea site. It was nice and filling and they were quite relaxed but we also were visiting on a Tuesday when there were maybe a total of six or so other people who had tea with us over that time. I have a feeling if it had been the weekend it might not have been as relaxed. We were offered a single refresh of our sandwiches which was fine as we had been given six scones as well as the cakes but we were not offered a refresh of the cakes or scones. We did get a refresh of the tea but with the leaves being left in to stew into a solid builders brew we ended up paying for new tea to be brought. Not a perfect experience but at a discounted price thanks to AfternoonTea.co.uk where I sorted by discounts (because I’m like that), I couldn’t really complain! Next I went off to the amazing Afternoon Tea at the Grosvenor Park Hotel in the Park Room with BuyAGift/Red Letter Days who have the super cool idea of giving an Afternoon Tea experience for two at any of hundreds of places around the UK. It means no matter who you give the gift to they will be able to enjoy a beautiful experience – with or without alcohol. In fact, if you’d like to get a SWEET deal (get it – sweet like the sweets..? <taps mic> Is this thing on?) go to https://www.buyagift.co.uk/food-and-drink/afternoon-tea and enter the code TEAWEEK for 20% off any of their normal packages – so you can treat someone (or yourself) so an even more luxurious treat! 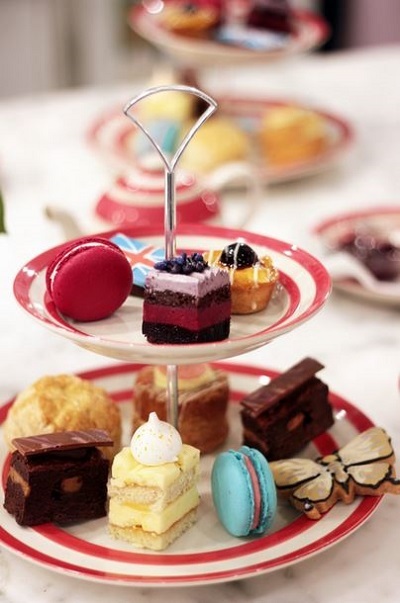 The Afternoon Tea at Grosvenor House was interestingly was a repeat of the wedding tea made to honour the marriage of Harry and Megan called Anna’s Royal Afternoon Tea. There were continually refreshed sandwiches, both open and regular, lots of freshly baked light scones and delicious fancy sweet desserts representing each of the different elements of the wedding like the couple themselves, the ring, and more with crazy names. That Top Tier of hand crafted pastries created in house to include mouth-watering cakes with titles such as The Invictus, The LA Special, Trilogy Ring, Tier 2 or a Myrtle Bouquet was a real treat. Possibly my favourite was the Trilogy Ring – Yellow gold and Diana’s Diamonds are featured in the trilogy engagement ring designed by Prince Harry so the oval chocolate ring with gold leaf was created in a trilogy of chocolate, Milk, Dark and White. What impressed me was that the cakes as well as the sandwiches and the scones were refreshed. Not that we could eat any more after the amazing selection of delicious jams that meant we ate more scones than was probably healthy. The cherry on top as it were was that we got to take a slice of cake with us. So while this afternoon tea was not inexpensive, they have worked to make it value for money. Right now the BOTTOMLESS CHAMPAGNE version is 33% off on the BuyAGift site but not sure how long it’ll last! 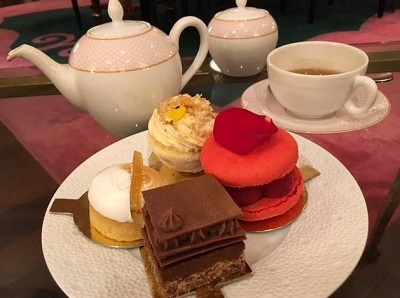 In addition to the two teas I have already tried, there are a host of other venues for Afternoon Tea I hope to have the chance to try this week. For example the Biscuiteers have an Afternoon Tea which includes their biscuits. This Afternoon Tea is celebration of all things Biscuiteers and everything sweet, so the tea includes miniature versions of their most loved cakes and patisseries in beautiful flavours, alongside their famous iced biscuits. What’s more, you can now upgrade the Confectionery Afternoon Tea experience to include a DIY biscuit icing session. Frankly, I would go if they perpetually refreshed their cookies and do nothing but eat them. I haven’t tried this Afternoon Tea yet but it looks gorgeous! Another Afternoon Tea I have heard of but not been able to try yet is the Jumeriah one which, being Jumeriah you’d expect to blow your mind. Coined as one of the best afternoon teas in London this year, the ‘Symphony’ afternoon tea at Jumeirah Carlton Tower is inspired by the movements of a symphonic orchestra. 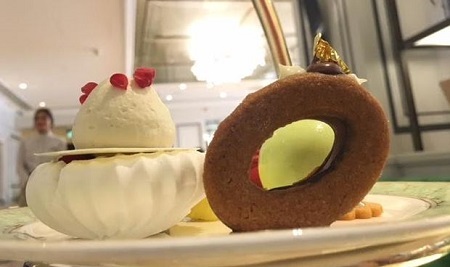 Apparently, anyone going in for it will get to taste a contemporary twist on the classic Afternoon Tea, from smoked salmon and duck mayonnaise brioche treats to sumptuous petit fours, whilst the luxury hotel’s resident harpist serenades you through every bite. I’ve done a harpist Afternoon Tea and they are surprisingly loud. I’ll have to test this one out!